Small but nifty. Thats the childhood memory you have of Its a Small World. Not to mention the song that goes over and over again in your head after riding it. 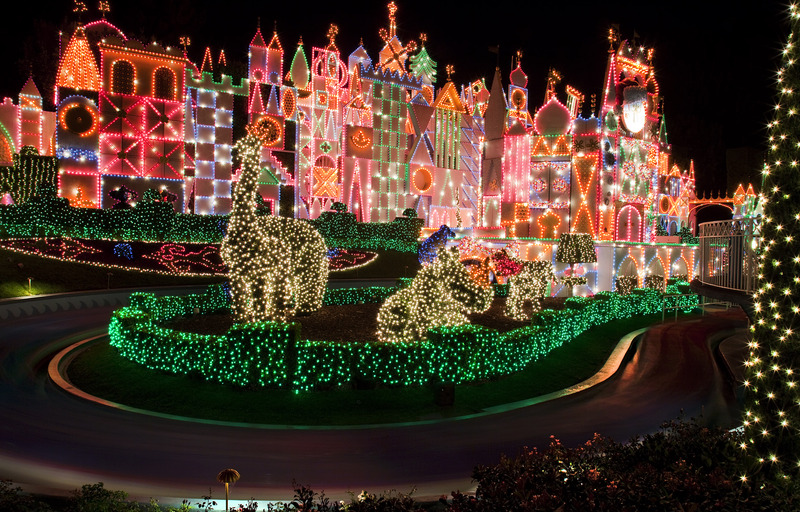 Now in its 21st season, “it’s a small world” Holiday is transformed from the classic attraction into one that depicts children of the world dressed in seasonal costumes and happily singing a mix of holiday songs, along with the “it’s a small world” theme. The story of the attraction changes from a charming party with dolls, toys and decorations representing children of many nations. Both in and out over 400,000 lights add sparkle.